In this tech world where on demand apps are in great demand in every industry, the transportation service sector is not behind in any way. The idea of transportation on demand is rapidly touching the greater heights and today, we have a lot of taxi hailing and ride sharing apps that are gaining a huge success and high profits in the transportation industry. Gett (Formerly known as GetTaxi), the popular ride sharing app, with a strong global presence in 4 countries namely Israel, United States, United Kingdom and Russia (spanning more than 120 cities) is doing exceptionally well as the Uber’s Competitor in the ride hailing market. One thing for which Gett is extremely popular is- the high-quality ride booking services at a very reasonable price. With the rising inclination of people towards car sharing or carpooling, the popularity of ride sharing apps like Gett is also on the rise. Along with offering a budget-friendly ride to passengers, a car sharing app helps the passengers to avoid the boredom that comes when one goes on a long journey alone with all the empty seats. By using cab sharing app to book a ride, the passenger can enjoy the company of his/her fellow passengers during the journey and that too at a decreased cost. 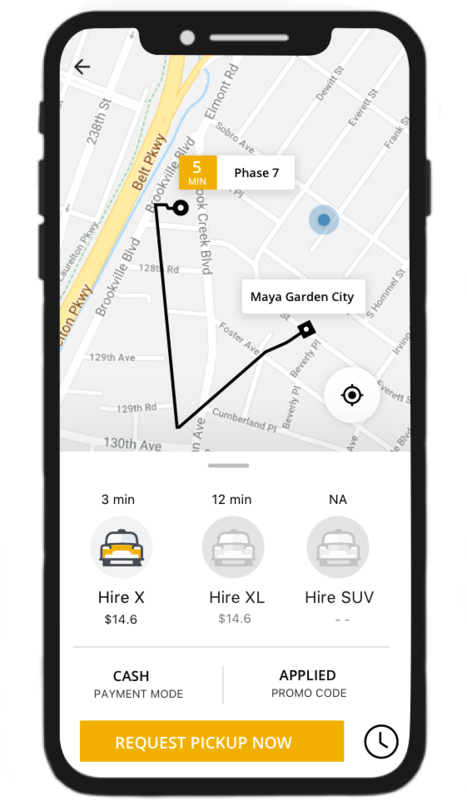 Nowadays, taxi booking business owners are keen to invest their money in taxi app development so that they can reap huge benefits from this burgeoning popularity of ride booking apps. They dream of getting an app like bolt (or an app like taxify), gett app clone or an uber like app development for their business, to earn the high profits as earned by these popular apps. 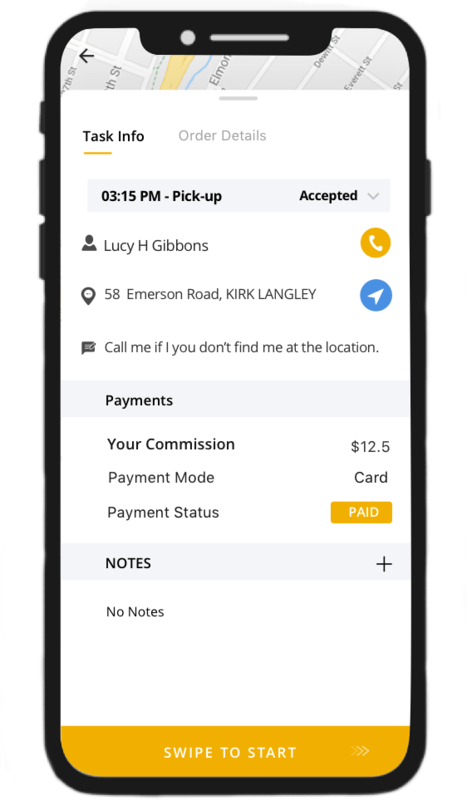 If you are also looking to get an on demand taxi app for your business, you can share your requirements with the best mobile app development company and ask them for a quote to know the estimated taxi app development cost. With an app, a customer can book a ride anywhere and anytime when they need a cab. Customers can get real-time notifications on the app, regarding the cab status and the latest promotional coupons. The customer can easily view the actual location of the taxi driver with the help of integrated maps. The passenger can make the payment for the ride using multiple options like debit/credit cards, net banking, crypto coins, PayPal, COD and other country oriented fund receiving gateways etc. If the customers like your services, there is an option in the app with which they can refer it to their friends and family or other people in their social circle. The customer can share the feedback about the ride and rate it as per his/her experience. The driver can accept or reject the ride requests from customers as per his/her own convenience. With the app, the driver can easily track the customer’s location from where passengers are requesting for a ride. From all the available routes to reach the customer’s location, the driver can easily find the optimal route using the app. The driver can turn on/off their availability status to let others know whether he/she is available for the service or not. Using the app, the driver can get the details of all the trips and the income they have received from the service. The operation manager of a particular area can send real-time notifications to the user of the app related to that area. For example, if it is raining today, he/she can send the rainy day special discount coupons or offers to the users. The operation manager of an area can easily add/edit the driver information which includes their name, driving license, identity proofs, photos, contact number, address, and vehicle information as well like registration copy, insurance, pollution card. 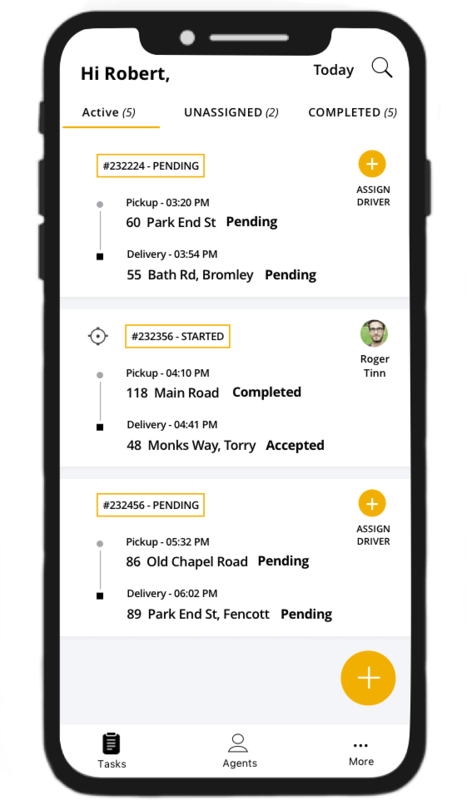 The operation manager of a specific area can include new drivers and their vehicle info in the app so that there is no shortage of drivers in that area. The admin can view and manage all the cab booking requests under a single panel. 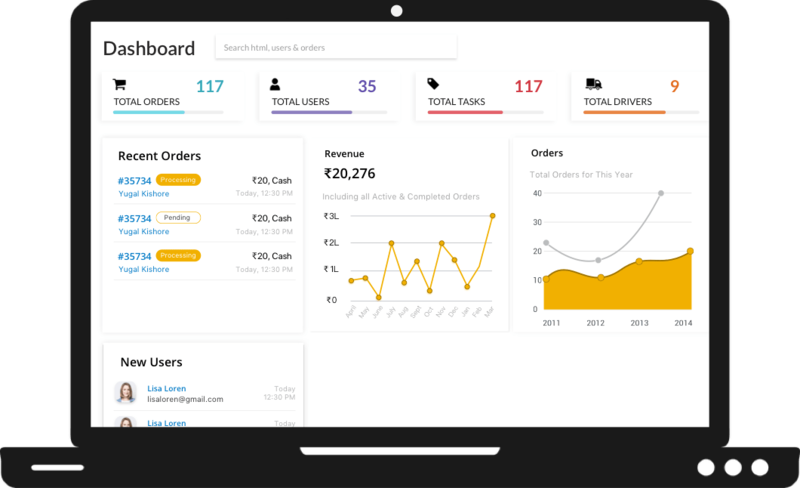 Using the admin panel, the dispatcher can manage profiles of customers and handle their queries easily. Admin can track the real-time location of all the drivers and vehicles using the dispatcher panel. With the panel, the dispatcher can efficiently manage all the drivers’ profiles and assign the new ride requests to the drivers. You can get insightful graphs and analytics using the dispatcher panel. It would help you to make better decisions for your future business processes. You can send real-time notifications to the customers or drivers in order to inform them about the new offers, promotional coupons or any other latest information. You can update the ride fares according to the distance, vehicle type or location using the admin panel. In case you need to update the surge charge due to the change in demand or supply, you can easily do it using the panel.